Obviously, at one point in time or the other, you will need newer software for your decoder. In this post, you will have access to a plethora of working links from where you can download FTA decoders Software. By Free to Air decoders, we mean any standalone decoder that can be used to open channels for free. Now, if such decoders are capable of opening paid channels for free, is none of my business and that is not my intention. In most cases, the new software will improve a decoder’s overall performance and add more features. Why do I need to install the Latest Upgrade Software/Firmware for my FTA Decoder? How do I upgrade my Decoder? I present you some of the benefits of upgrading to a newer software on any decoder. 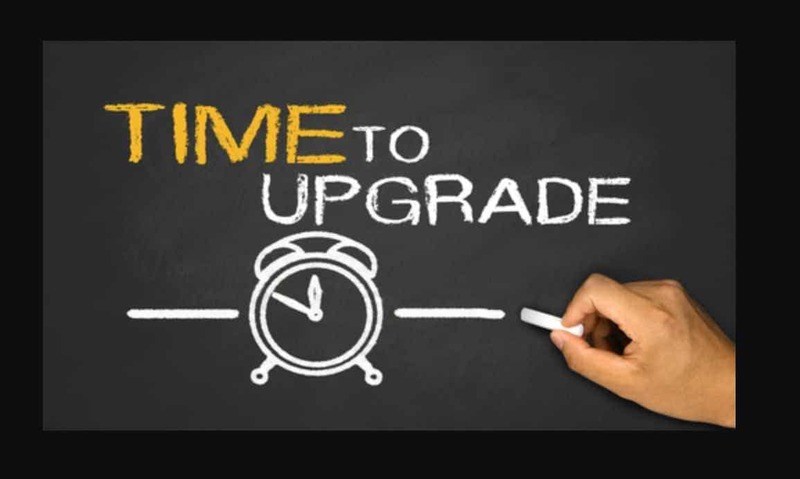 First off, you need to upgrade when new software is available in other to improve the stability, security or reliability of your decoder. Secondly, to add more features or improve on the existing ones, you ay need to upgrade your software. Also, if there is a vulnerability in existing software, only a new software will be able to fix it. When you want to activate hidden features on some FTA decoders that also opens paid contents, you must get an upgrade to the latest software. A software upgrade can also be used to disable a supposedly unneeded feature on a decoder. Do you remember when Qsat used a software to disable Dqcam and support for spycam on certain decoders? You may buy a particlar FTA/IKS decoder for a specific purpose and that very service got blocked. ifever you will have a chance to continue enjosying that very service, you will need a new software. With every advantage comes a corresponding disadvantage. I will implore all and sundry to please only upgrade a decoder when it is absolutely necessary. If you rush into an upgrade without checking the changelog or bug alert, you can end with an unpleasant experience. below are some of the reasons why you must upgrade only when necessary. During an upgrade, you can soft-brick your decoder. Especially when there is a power outage during the process. Furthermore, you can lose some vital features if you upgrade to newer software. Lastly, new versions of some decoders can contain bugs. Avoid beta versions of software like a plague. As far as my memory serves me, there are four major methods through which you can upgrade any decoder. Be it a paytv decoder or an FTA one. firstly, you can upgrade via OTA(Over the air) method. This method is the most convenient and the easiest. In fact, it is the only method used by PayTv companies. The downside of this is that you can instal a buggy software easily. USB upgrade is the most popular upgrade method amongst FTA decoder manufacturers. It gives you a total upgrade but beware, you can brick you decoder more easily if you are careless. A decoder to decoder method can also be used but it is very unpopular. Lastly, you can load and revive your receiver via a PC loader/PC flash tool issued by the manufacturer. I accept no liability for what happens to your decoder as a result of you not following the software installation instructions. You are strongly advised to upgrade your decoder only when your electricity is stable. Secondly, you must download and install only the software for your particular model. Suffice to say that we don’t support piracy hence, I won’t talk about what the software can or cannot do as it relates to tv piracy. Please use the software the best way you deem fit. I have been following your posts for some times now. I am new to all this FTA stuff. and i need your help. I just got a Digicom Decoder 9000HD and i can say the decoder has been good so far because it come with Autoroll and powervu as well. It goes like that for 002 with another freq, satdeg, the SID, NO and Key (hex). and number 337 with different freq. 1. Though, i can edit or add it but what to add is the problem and this key where can someone get it and how can someone use to open the scramble channels? 2. Also, there are many ways to update the software. Do i need to update the software and if i do, hope it won’t crash and affect the decoder and how can i update the software via USB? 3; Where can i get the software? 3. Also, i hardly see anything like info about the decoder on internet, i have searched everywhere, which leads me to your site? 4. How can i connect 3G with the decoder? 5. All the local stations are scrambled, how can i unlock them… They are all on (Astra 2F, 12521/30000H)? I get many questions but lets get it started with this. I will be glad with quick response. @autoroll means you don’t need to edit anything. If it’s not opening your favorite biss channels, then it means the channels providers have blocked access. Hi boss, i checked through your list but didnt find the link for Qsat upgrade even though it was listed above. kindly help me with the link sir. Sir,is there any hope for qsat 28g software?? @Isaac Ayiku: have you tried searching for it on google without success? Hello. I really need the firmware update for newmax nm779 HD. I tried google so many time without success. Meanwhile, is there any software that can be compatible with this decoder that i can try? Can someone help me to get srt4920 powervu softcam patch as mine is not working again. I recently load a softcam key to my srt4920, since then I have loaded all the software including 195p no luck. What to do next? Oga Lemmy, plz help me out. I bought strong 4955 about three weeks ago, today when I switched it to watch the channel it has stayed “BOOT” with nothing appearing on the screen. What should I do? please what about SuperESat dconder. please what about superEsat decoder. @cleff : what’s the name and model. Of the decoder? can I get any information on Newmax NM-779HD decoder? Link for software update, how to enter biss or powervu keys and add new stations. just bought it . Tnx. is cannal plus off on qsat? The startime is going down by the day.Not up to 6 stations are showing now. The stations that are showing are Free living,Komfu,St f1, and few other but nor more six as at yesterday. Is there any hope boss.please do not see our as a complaint rather as update and leaning on you for solution if at all there is any you can offer.Thanks. please help me. my SRT 4950E is tuck at boot as display on Receivers screen but nothing will come on the TV. when switched on I pressed and hold the standby button and OTA menu will come but NO action. So startimes cccam is dead? snr, multi tv is on mpeg4 so with mpeg2 decoder u can’t have visuals. Please someone should help me with satellite name and frequencies that I can add to my installed multi tv with a different lnb to get more FTA channels. Dear Lemmy, I have a mini strong decoader mpeg2 anytime I use it to scan multi tv only gtv comes but the rest will be in audio. But dstv, canal,star times,mytv,Amos all come correct pls what can I do to get the multi stations with pictures and video? boss Lemmy and the hse, I am using a new supermax lnd cos my old strong lnb got damaged..but it only receives the AFN channels and the NTA channel at high signal but never receives the sports24 package..i have blindscaned and done everything but to no avail…what seems to be the problem…? Mr lemmy, no hope on startimes still. Mr lemmy which channels are working on startimes? Mr lemmy which channels on startimes are working? hi the boss, pls i want u to help me solve a problem when ever i surf the net my hard disc leaves from 20GB to 10GB even with all the cleaners that i use to release hard disc to no avail. Format the disc to get actual size.they may HV installed a program to read 20gb when u bought it.trick!!! Hi, anyone with alphabox site? @Abdul You can updates and softcam files for your decoder and many others on http://www.satdl.com/product/930/premium-hd-16000/ I hope it helps. starsat cccam is dead. talk about it or your still working. the boss you are too much infarct i updated my decoder called star x using the link you provided. I was expecting to see my receiver on the list but it is not there, I use HD-3 PRO. I will appreciate any useful information as the biss key for tv3 stopped working after the last update to their frequency. I have also not been able to connect it to the Internet, not even with a 3g modem with stable network. Am waiting eagerly. @ABIODUN Not all internet-enabled decoders make use of 3g modem sir. However, you can try lan am sure it will work as long as it has a lan port. Please I was expecting to see the link for my own receiver also but alas, it is not there. I use HD-3 PRO. Any useful information will be greatly appreciated. Am waiting expectantly as the biss key for tv3 stopped working after the last frequency update.